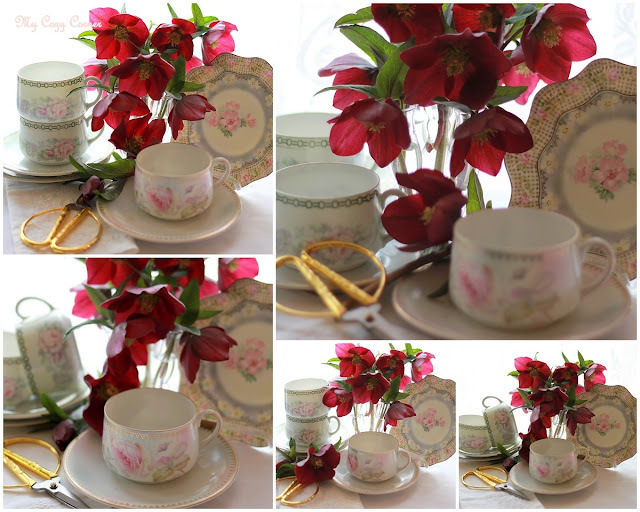 2018 Olympic Games and writing the story of my Paternal Grandmother's tea set. The photos are from the selections I used for January 2019 Tea Time calendar. and my grandmother's tea set and garden scissors. tea towel and the lenten rose with a bud on the stem makes an eye-catching statement. I have six dessert plates and six teacups and six saucers. The teacups, saucers and dessert plates are displayed on the wall in my guest room. I dearly treasure my inherited gift.